Dr. Guy Carnazza is an experienced and talented dentist. 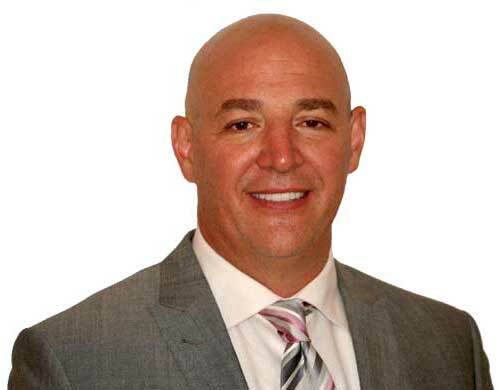 He has extensive training in both surgical and prosthetic dentistry His service to patients in Brooklyn, Long Island, and surrounding areas has earned him a reputation for achieving excellent results while setting patients at ease in the dentist’s chair. Dr. Carnazza’s expertise in implant dentistry (as well as general and restorative dentistry) allows him to exceed many patients’ expectations. When it comes to dental care, don’t settle for less than the best – entrust your smile to Dr. Guy Carnazza. Dr. Carnazza obtained his Bachelor of Science degree from the University of Hartford in 1992 and his Doctor of Dental Medicine degree from Tufts University School of Dental Medicine in Boston in 1996. He then completed a one-year general practice residency at Brooklyn’s Kings County Hospital and SUNY Downstate Medical Center. He also completed two two-year surgical and prosthetic implantology training programs at New York University (NYU) between 2005 and 2007. This allowed him to attain the esteemed credential of Fellow in the International Congress of Oral Implantology. He was then a Clinical Associate in the same program from 2007-2008. At present, he attends continuing education courses at NYU’s The Rosenthal Institute for Advanced Dental Ed. Why is Dr. Carnazza the “Go-To” Dentist? With a strong dedication to the community, Dr. 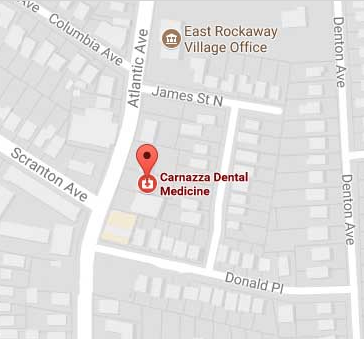 Guy Carnazza is committed to bringing quality dental care to East Rockaway, making it accessible to patients who need it most. Visiting our office isn’t like going to the doctor – it’s like hanging out with friends. That’s the difference we strive to uphold. Whether you’ve been a patient for years, or it’s your very first visit, you’ll be treated with the same respect and care. Dr. Carnazza invests in his patients’ long-term oral health, and doesn’t believe in quick-fixes. Your smile matters to us. You matter. If you would like to receive the outstanding dental care for which Dr. Guy Carnazza is known, contact our office today. Dr. Carnazza can help you enjoy optimal oral health and a beautiful new smile.